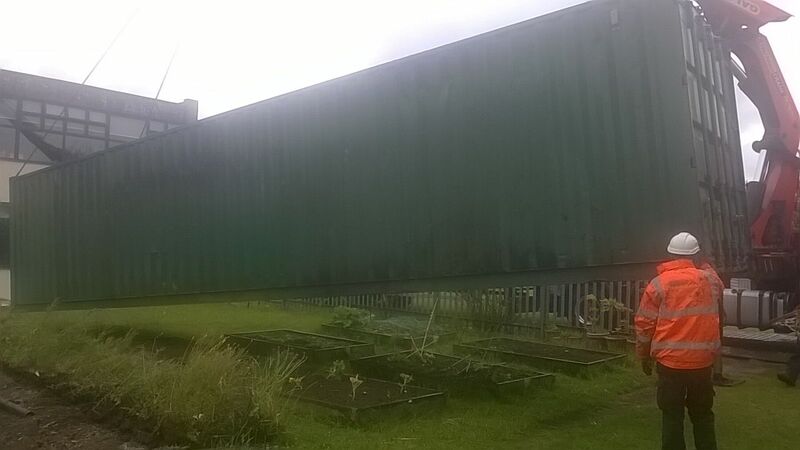 Last year we applied for INTEL's Pride of Place Competition for funding for a community project. 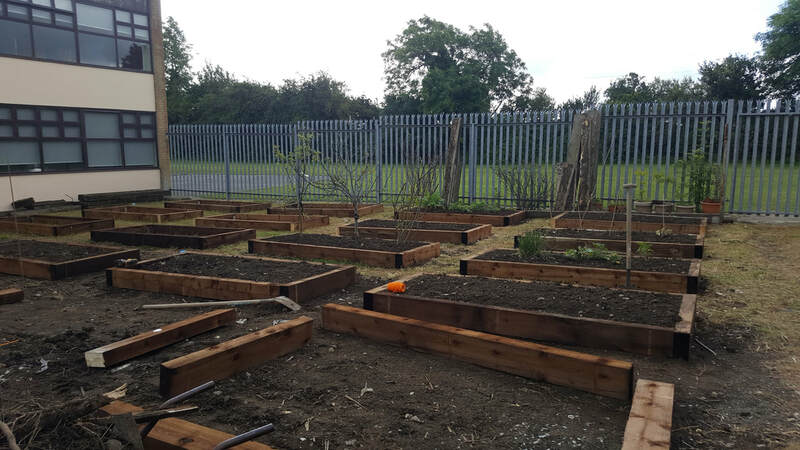 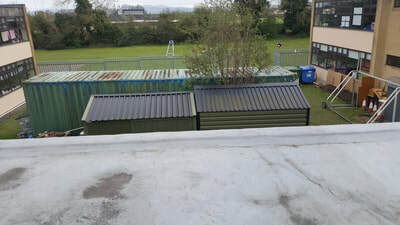 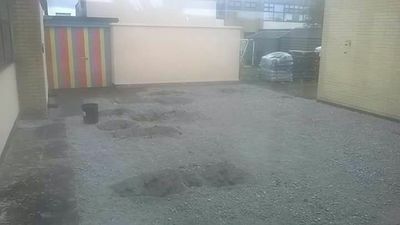 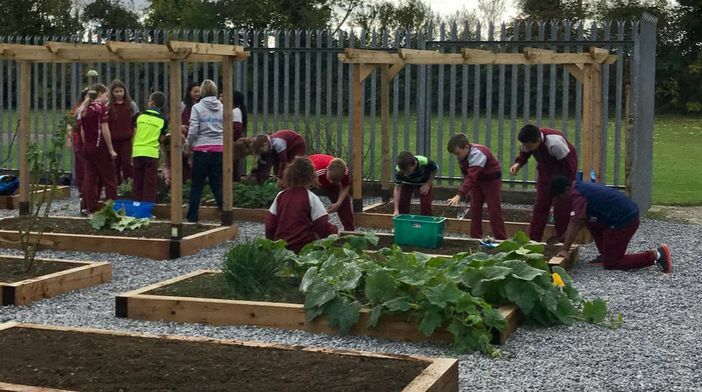 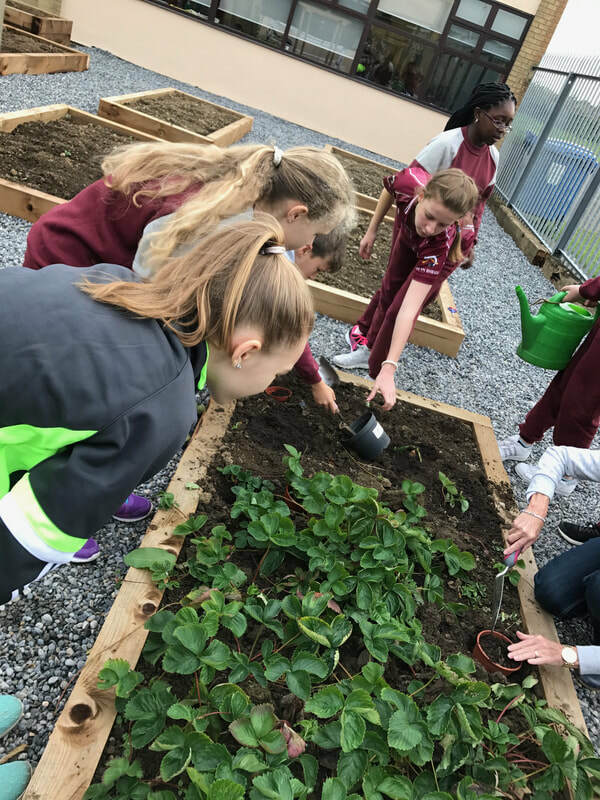 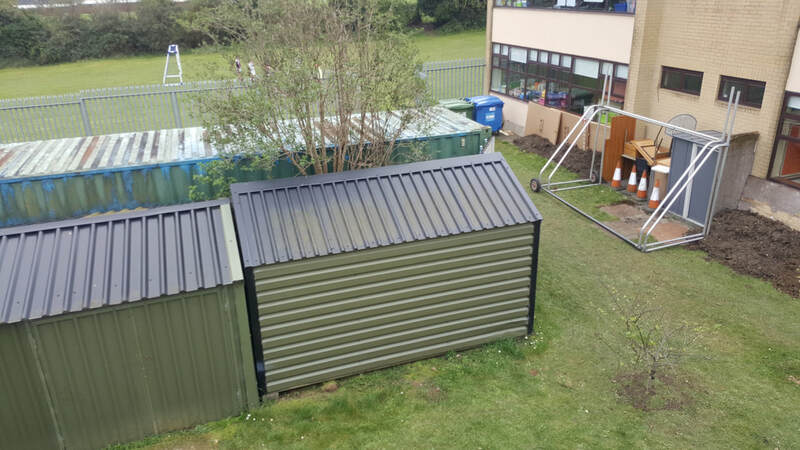 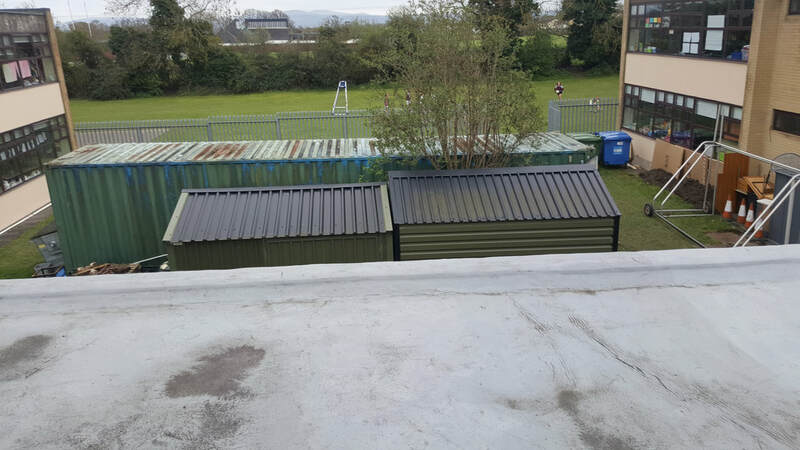 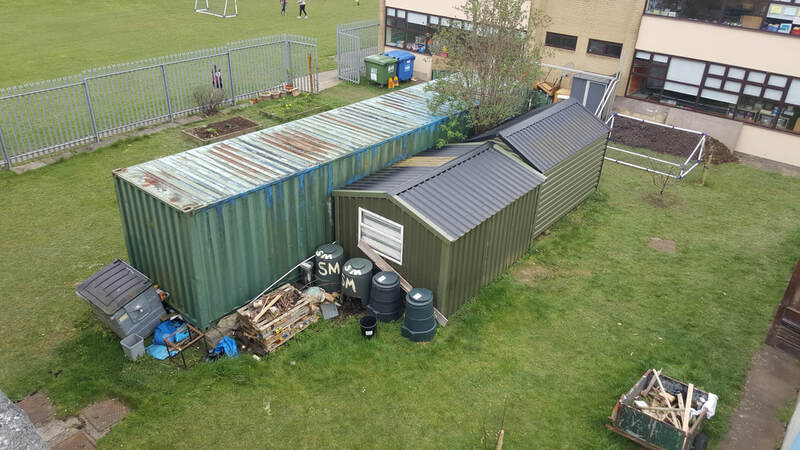 We made a joint application with Scoil Bhride for funding to transform a waste area at the back of our schools into a shared garden. 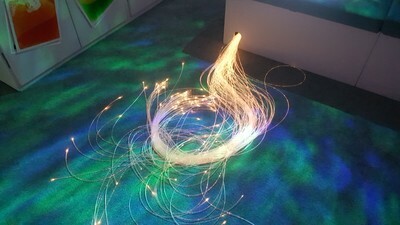 We won a prize of 5000 euro which we are most grateful to INTEL for. 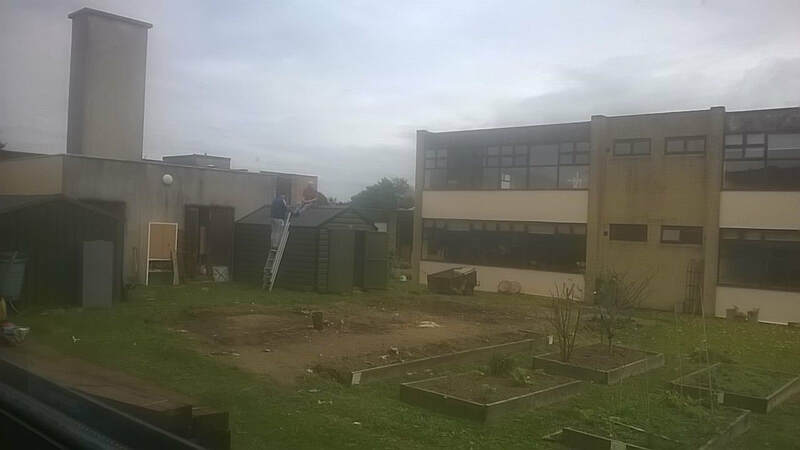 Many thanks to Pat, Philip and Brian our caretakers who worked on developing the garden during the Summer. 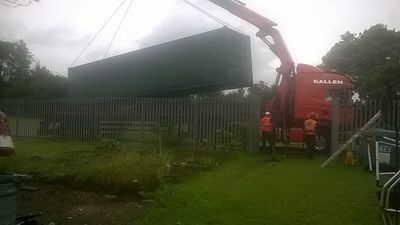 Here are the before and after photographs. 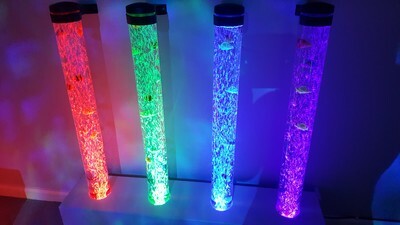 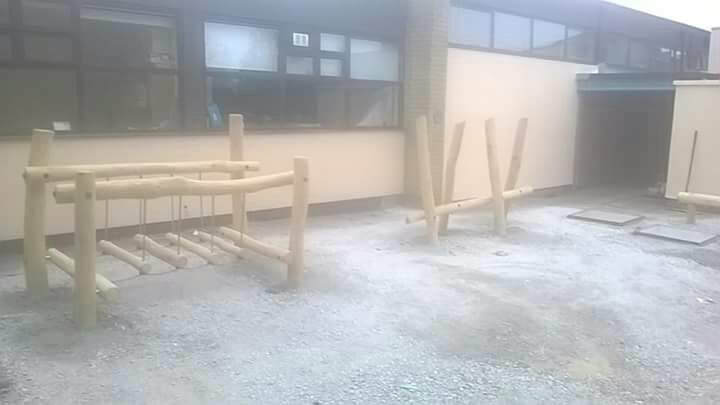 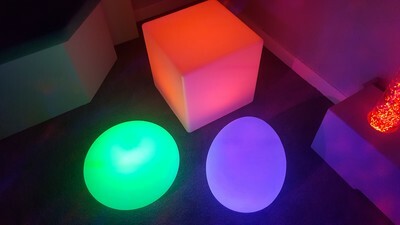 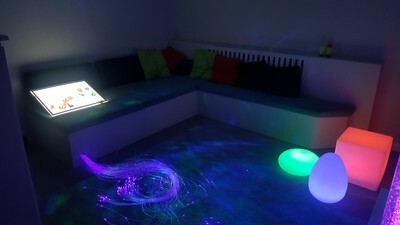 who recently funded a Sensory and OT Area in our school. 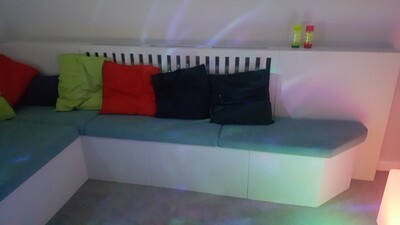 This area is a great facility which is used by our infant classes, our OT groups and by the children in rooms 3 and 4. 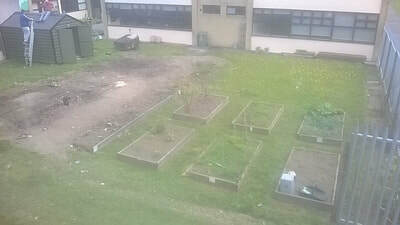 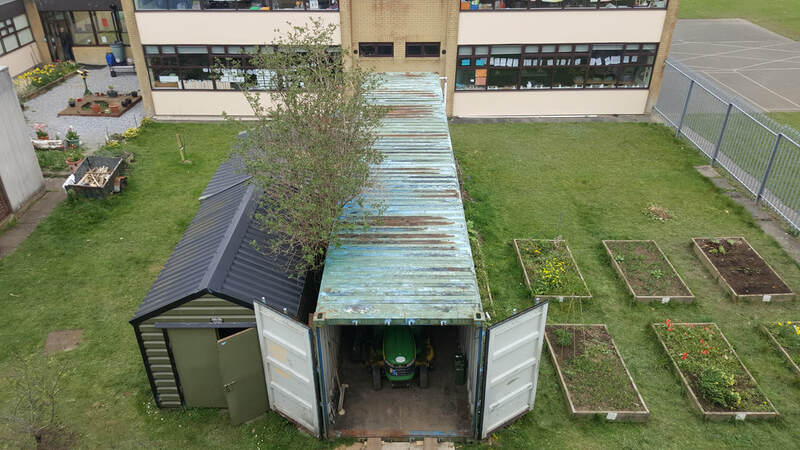 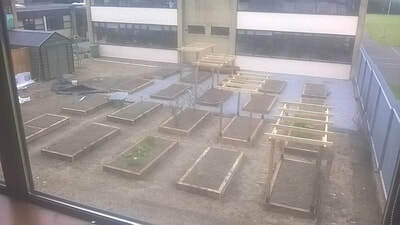 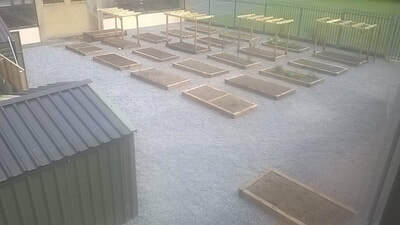 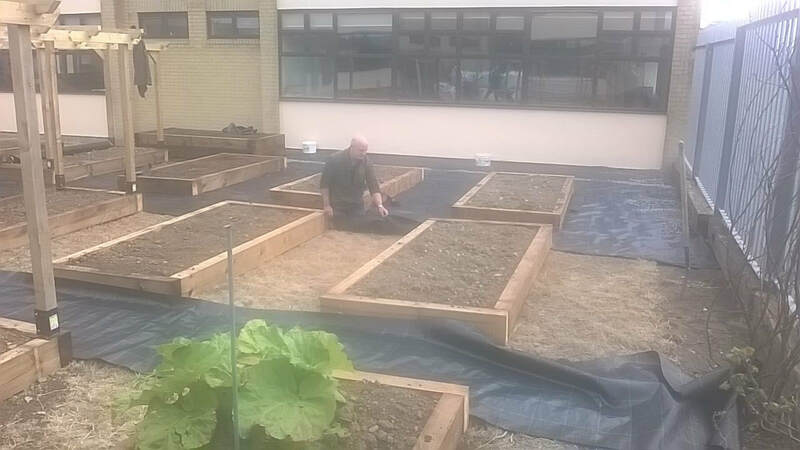 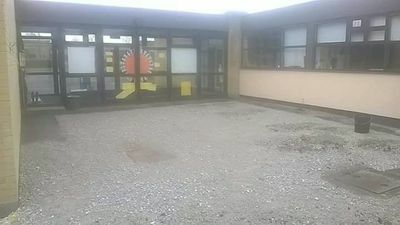 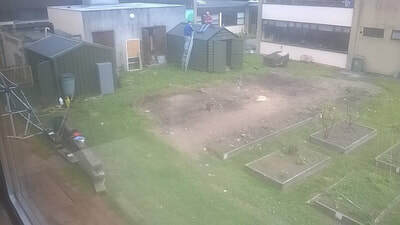 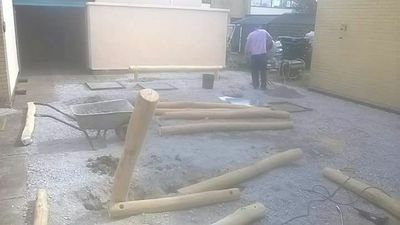 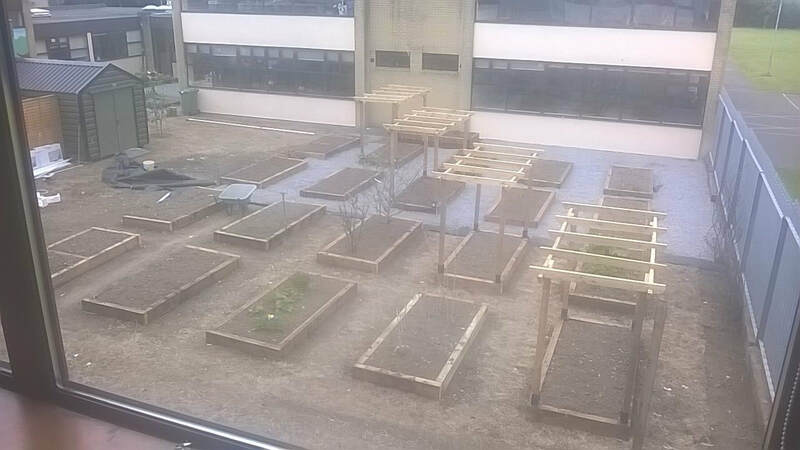 Many thanks to Pat and Philip, our caretakers who did huge work removing the beds and clearing the area before the company came to install the equipment and lay the soft surface on the ground. 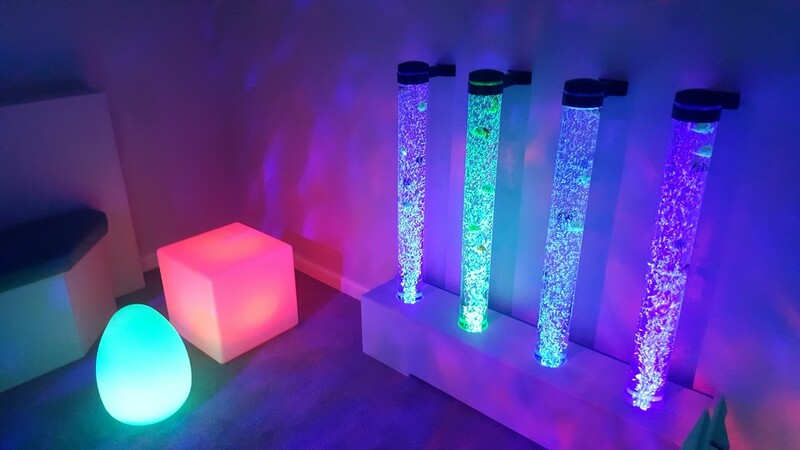 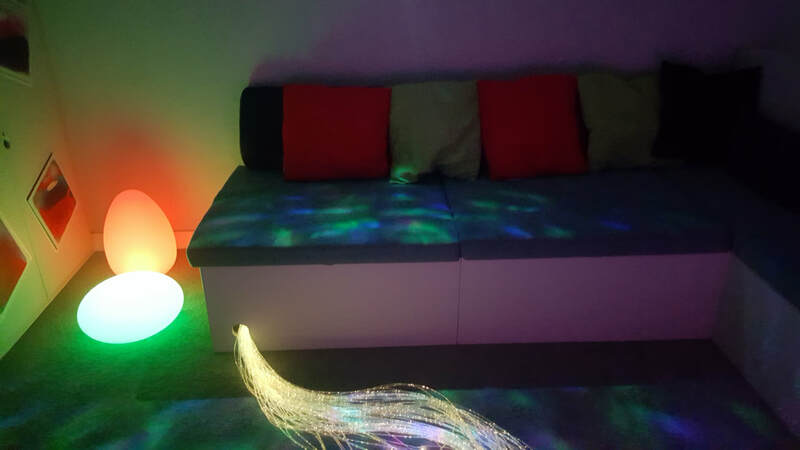 We received a grant from the Department of Education and Science to create a Sensory Room, which is situated near the office. 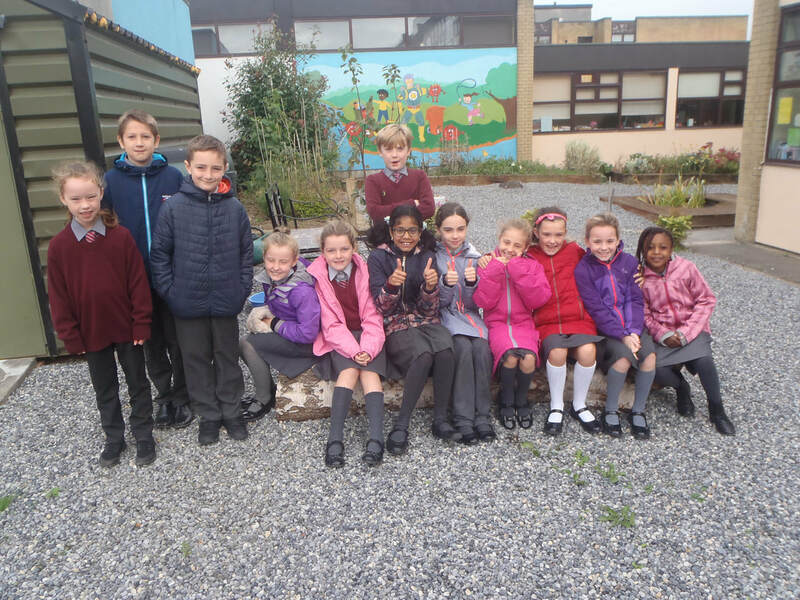 We say a huge Thank You to our Parent-Teacher Association for all the fundraising they do. 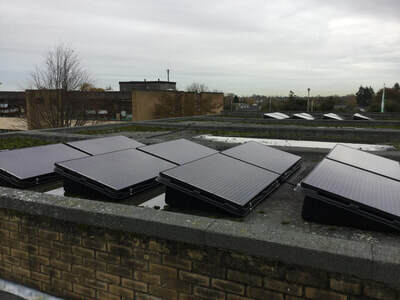 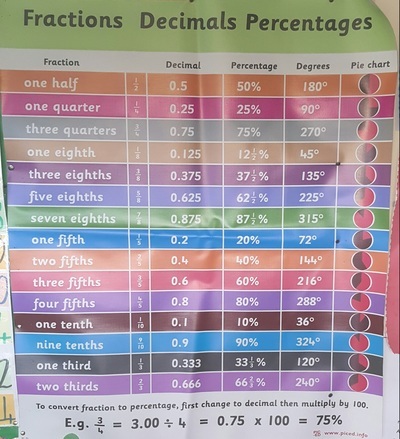 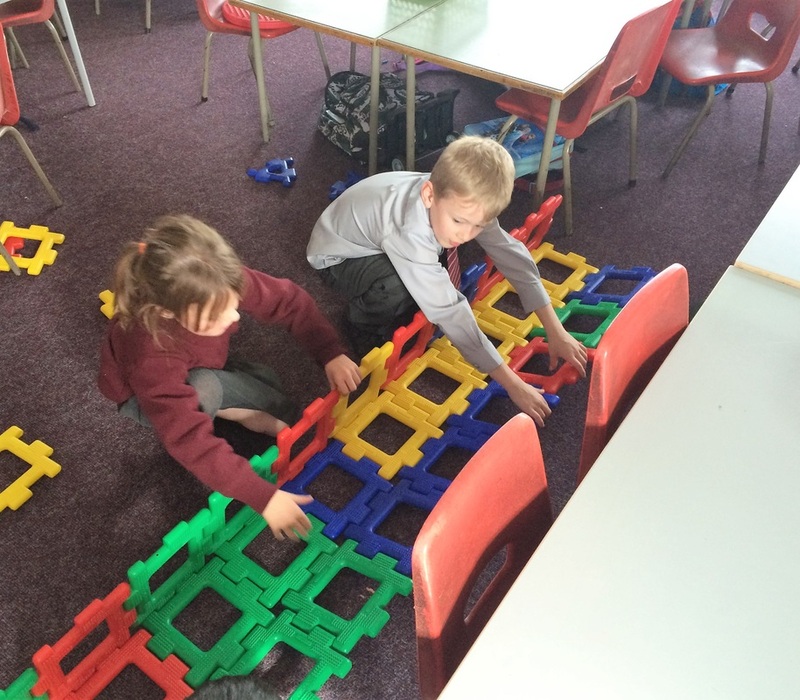 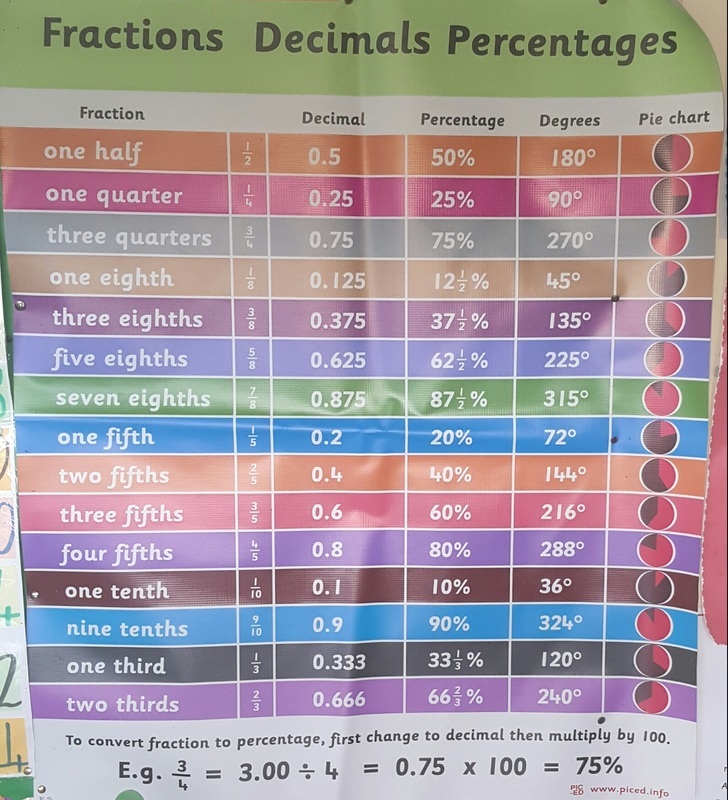 The money they raise is used for the provision of various resources throughout the school. 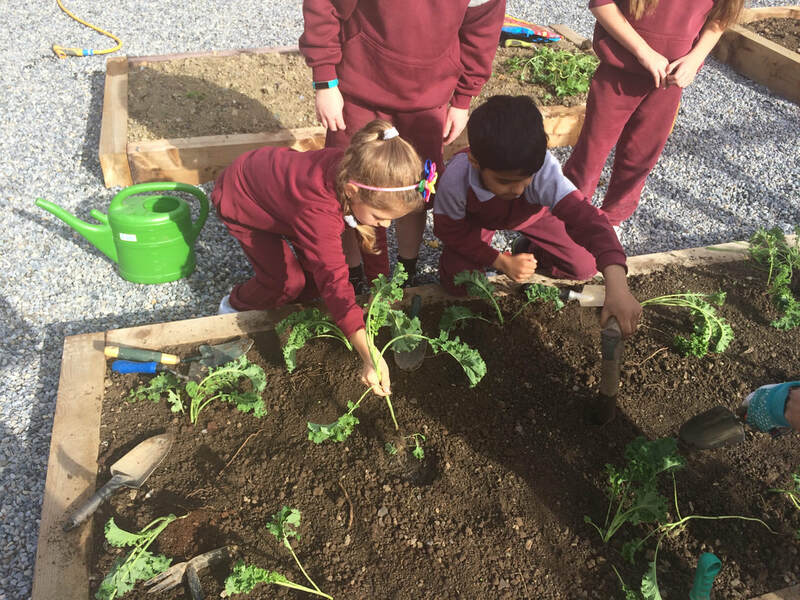 These resources are of great benefit to our students and we are very grateful for them. We really appreciate all that the PTA do for our school. 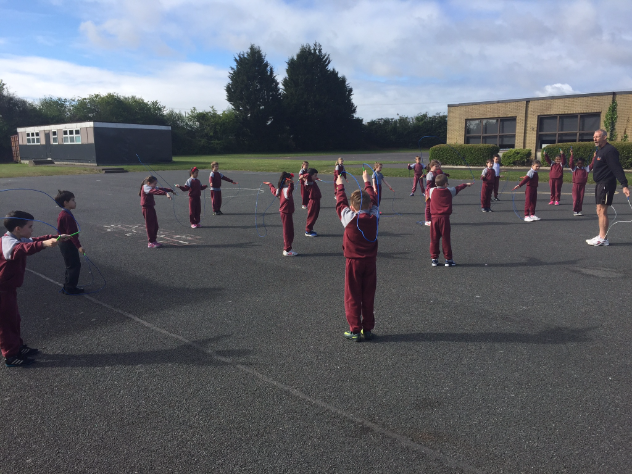 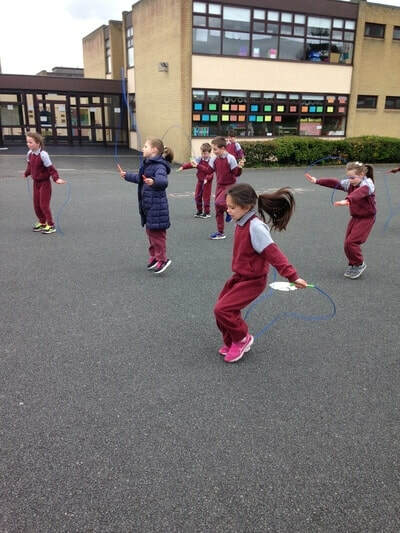 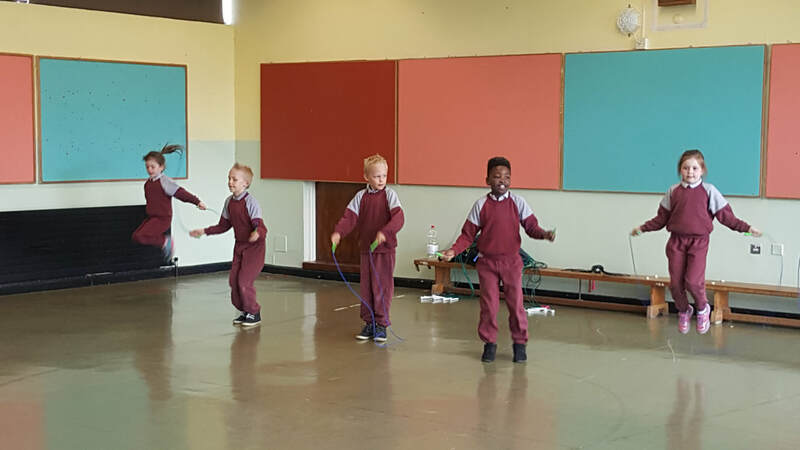 We bought a set of 30 skipping ropes and 8 large class skipping ropes for PE. 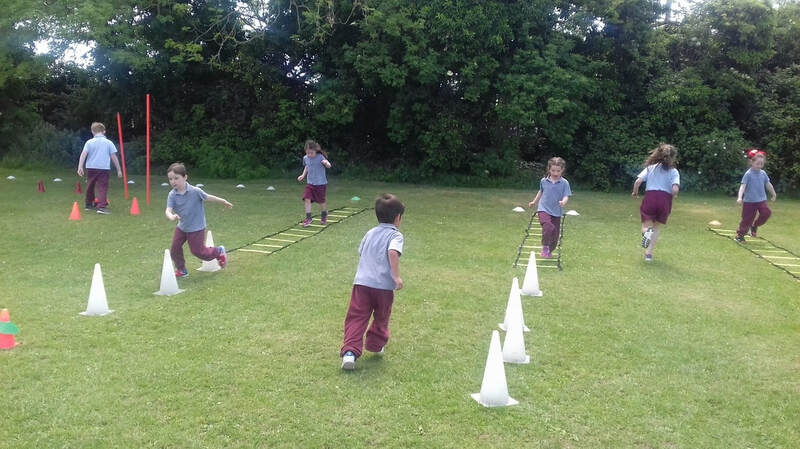 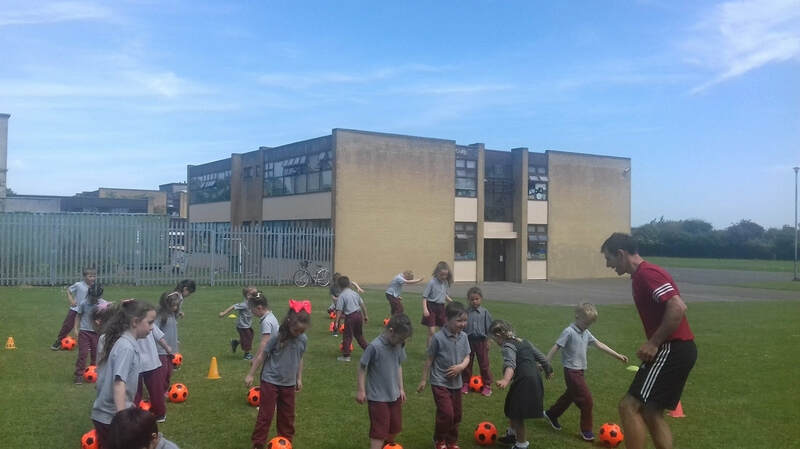 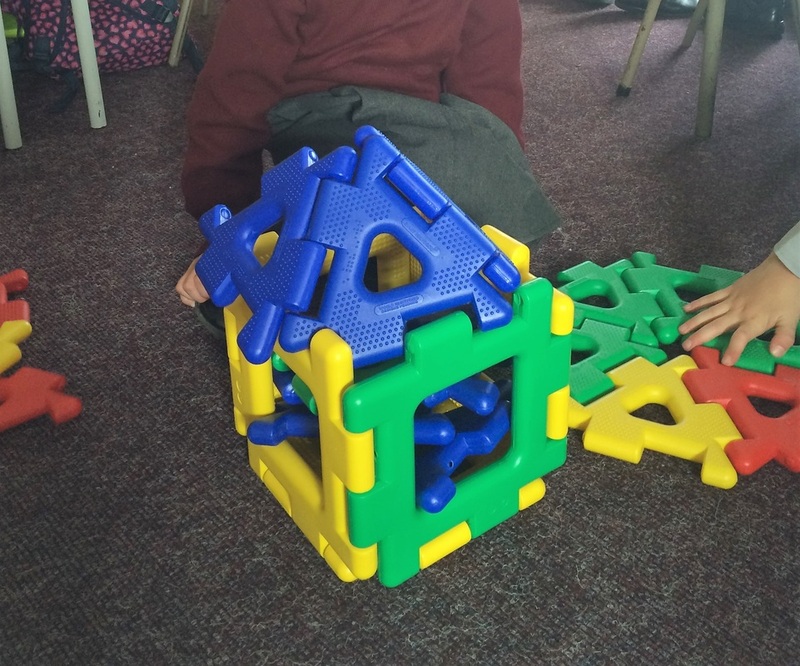 We bought 2 goal posts for lunchtime Soccer, 20 helmets and 25 sliotars for hurling and camogie and we were able to afford to hire 2 bouncy castles for Sports Day! 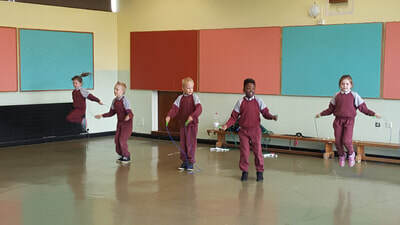 Every class in the school attended a drumming workshop from 'Drum Nature' for Intercultural Day. 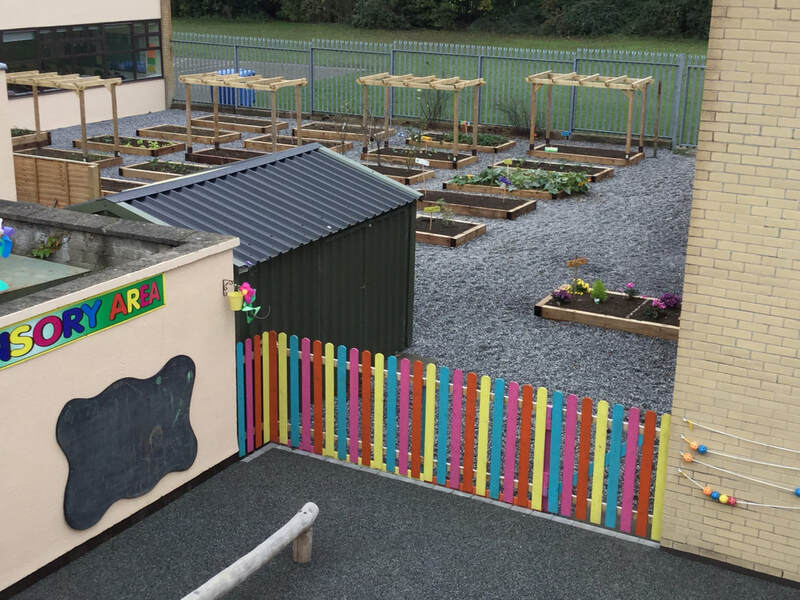 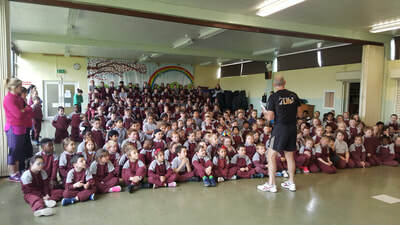 In 2015-16 the PTA presented Scoil Mhuire with a cheque for 10,000. 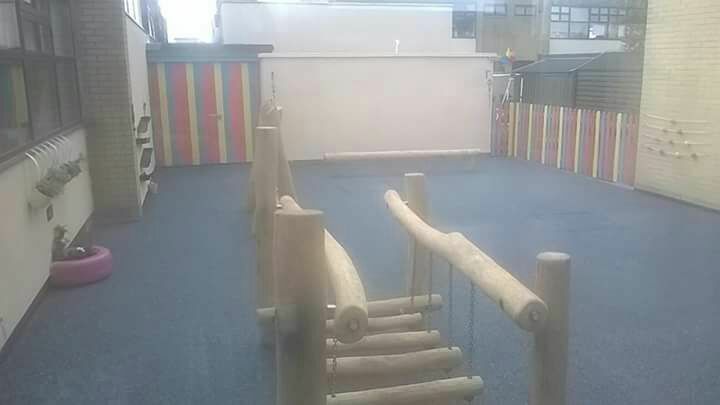 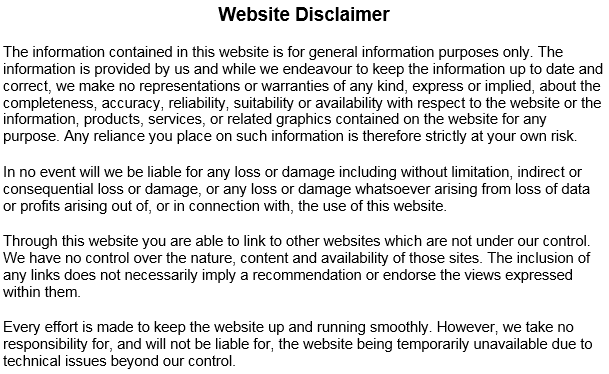 See below what we spent the money on. 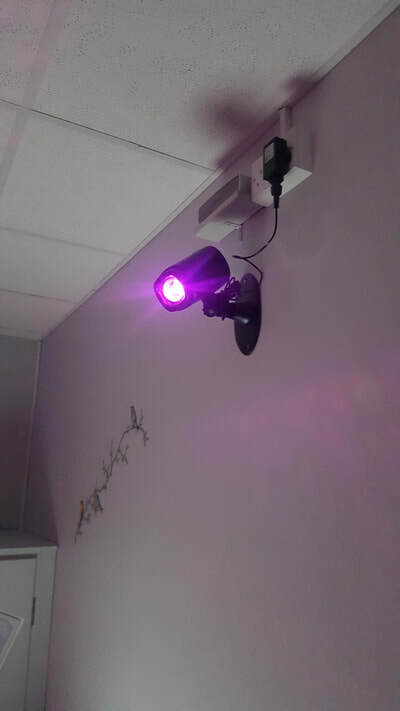 We spent alot of the money on a new Library/Computer room. We bought a new library catalogue system, new library seating and plenty of shelves! 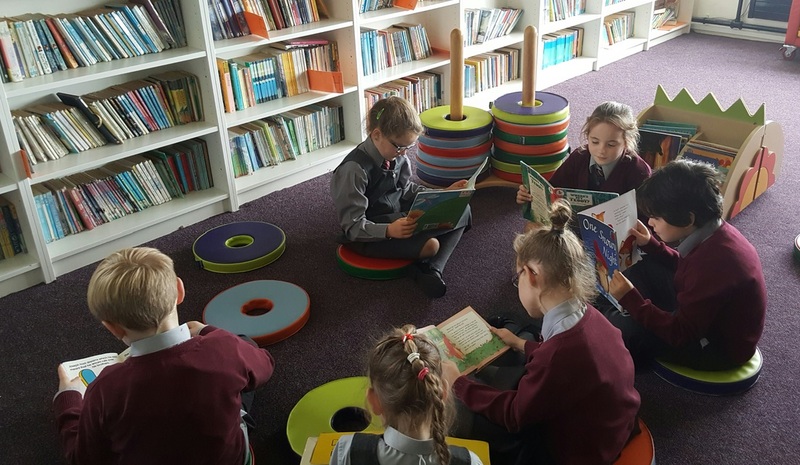 We were able to stock our new library with books we bought with the commission from the PTA 'Book Fair'. 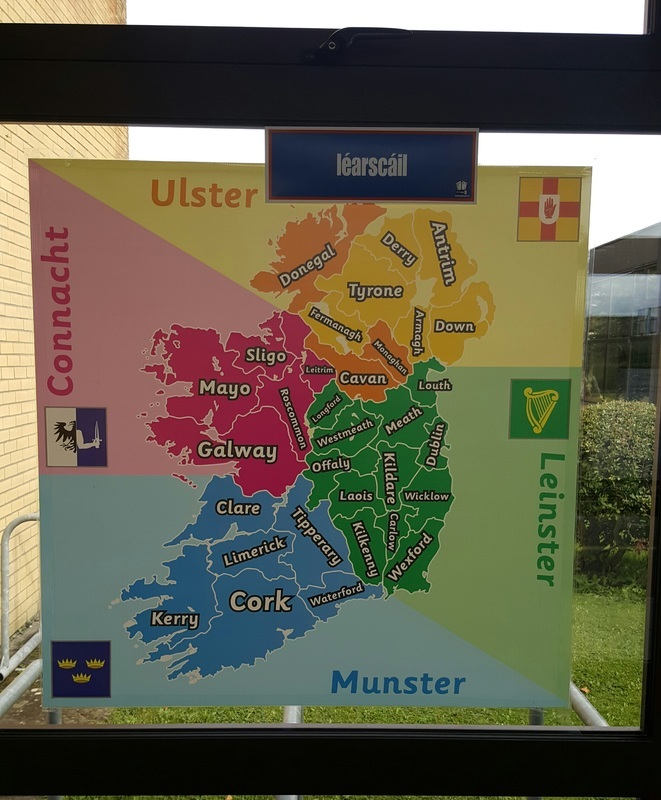 We bought two logo mats with our school crest on them, flags for our international and county flags for our corridors and a set of Gaeilge readers for all classes from 1st to 6th. 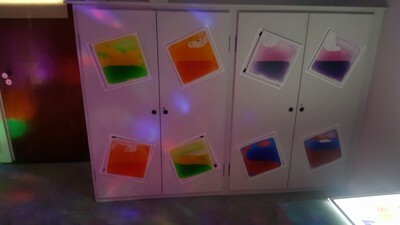 Here is a sample! 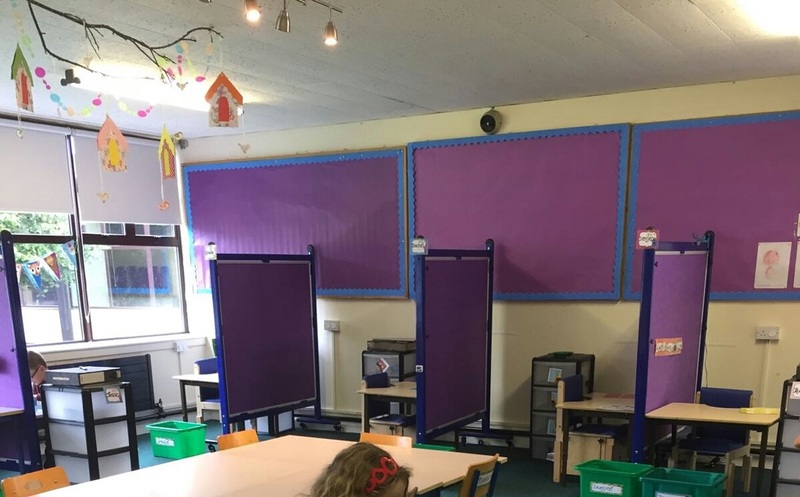 We bought new classroom dividers and a selection of educational posters for our classrooms and corridors. 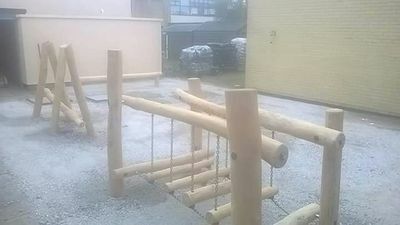 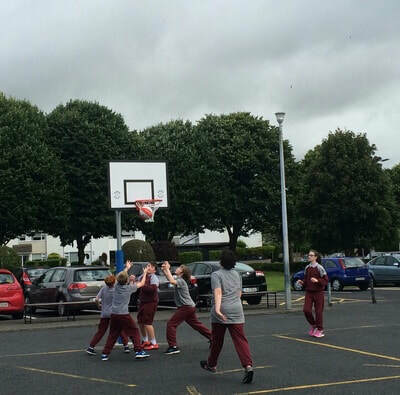 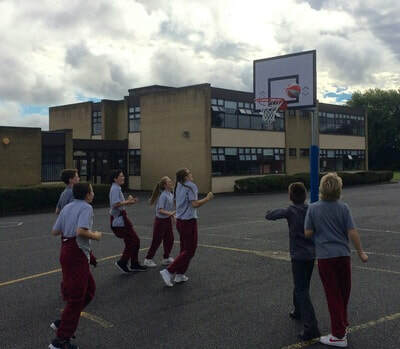 ​We bought two basketball posts and lots of Aistear equipment for the infant classrooms - Here is just a sample! 20 hoodies with the crest and school name on them which our staff are delighted to wear with pride!